Asteroids, Comets, Meteoroids: What’s the Difference? 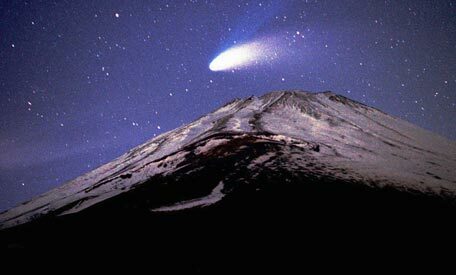 Comets (from the Latin name stella cometa, meaning “hairy star”) are made up of rock, ice and other elements. They originate in the Kuiper Belt region beyond Neptune and in an even more distant region called the Oort Cloud. Comets have an elliptical orbit around the Sun and are known for their “tails,” comprised of the dust and gas that melts off the comet as it nears the sun. The force of solar winds are such that so a comet’s tail always points away from the sun. Asteroids are large chunks of rock that come from the asteroid belt region between Mars and Jupiter. Asteroids range wildly in size, from very tiny objects to rocks hundreds of kilometers across. According to NASA, the pull of Jupiter’s gravity or collisions with other asteroids cause some to get thrown out of orbit. These wandering asteroids have been known to intersect with other objects in the solar system, including the Earth. Meteoroids are the smallest of the space debris bunch; they are less than a kilometer in size. Meteoroids are often incorrectly called meteors, but a meteor is actually the light created when a meteroid enters the Earth’s atmosphere. Whatever part of the meteoroid is not burned up in the Earth’s atmosphere and ends up falling to Earth is called a meteorite. So any piece of space debris that you have seen or touched in a museum is called a meteorite. To learn more about comets, asteroids and meteoroids, and what makes them different from each other, visit Cornell University’s Ask an Astronomer site, which is full of beginner, intermediate and advanced Q&As provided by astronomers. Click on the name of your city (or any city you are curious about) on Your Sky and get a sky map of the area that shows the visible constellations and planets. You can also set preferences for what objects you’d like to see. Due to a few recent close encounters with space debris, scientists have started considering how to predict potential collisions of space debris with our planet, and whether we could prevent any disastrous collisions from coming to pass. NASA’s Near Earth Object Program is designed to detect Potentially Hazardous Asteroids (PHAs). There are currently 1,034 known PHAs. NASA has a chart of the recent close approaches to Earth of NEOs and has a list of upcoming close approaches.